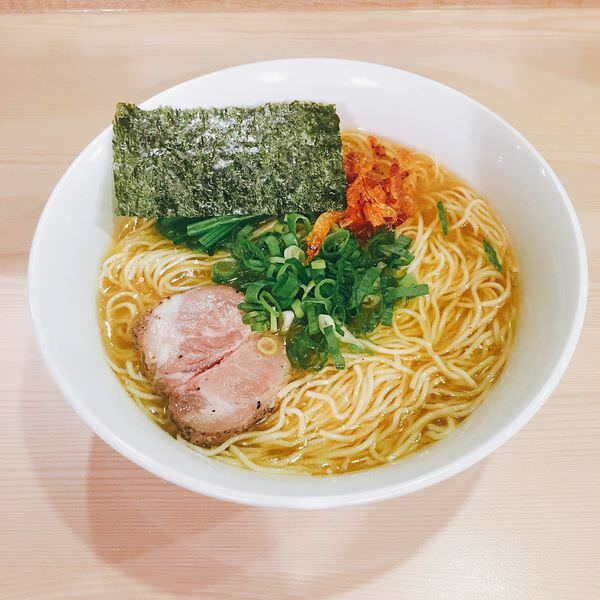 Menya Masato Ramen is originated from Niigata, which is located at the middle of Japan. It is a county full of Ramen restaurants. 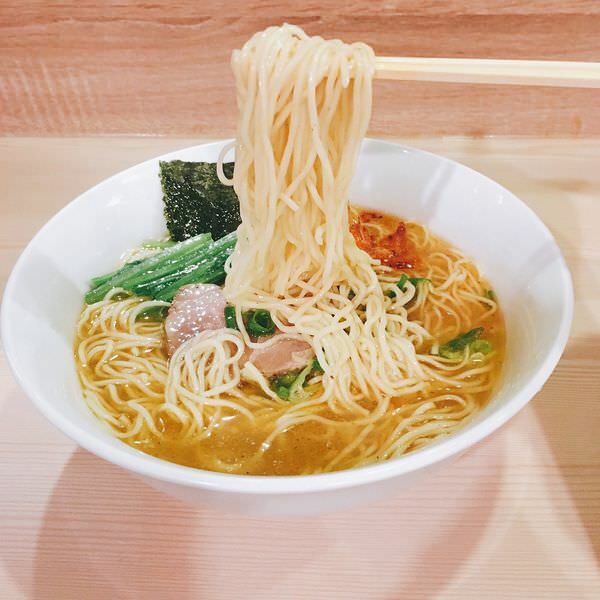 Menya Masato Ramen puts on the good fight, survive and even open its oversea branch in Taiwan. 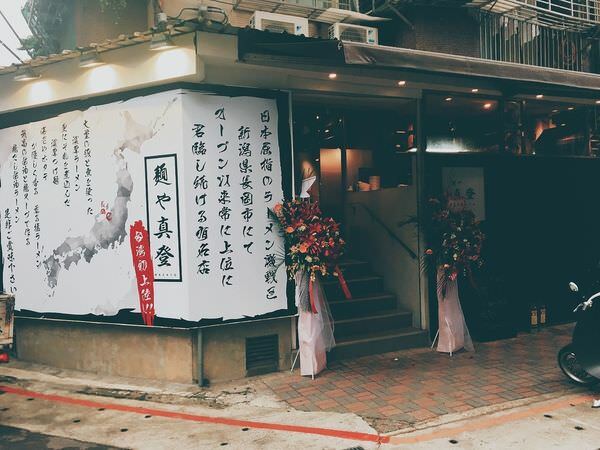 It now opened a new restaurant near Nangjin Sanmin MRT station. 位於上班族眾多的南京東路巷弄內, 跟附近的自助餐聽很明顯地分割, 裡面的裝潢卻非常樸實, 也有靠近吧台的單人座位, 不需要跟別人併桌. In the alley of Nangjin East Road, there are many cheap restaurants. It obviously in the different level. However, the indoor design is easy-going instead of luxurious. There are also one-person seat near the kitchen/bar. 原本以為麵屋真登的雞湯底會像鳥人拉麵的雞湯底一樣濃稠, 但是端上桌的熏塩拉麵湯底是清澈帶有點淡黃色, 迫不及待地喝下第一口時, 味蕾則能品嘗到淡淡的雞湯香味. 隨後開始攪拌拉麵時, 帶有海鮮味且酥脆的櫻花蝦和帶有油脂的豬肉會把原本的雞湯香味蓋過去, 轉換成淡鹹的雞湯, 建議鹹的櫻花蝦和麵與湯一起品嘗能享受到不同層次的口感. 拉麵愛好者會將此拉麵歸類為“淡麗系”, 因為不像豚骨如此重口味. 與鄰近店家相比, 有些上班族會嫌貴, 但其實NTD $210 是台北拉麵市場的平均價. Since I tasted “Totto Ramen” Chicken Ramen before, I thought Menya Masato’s soup base is going to be creamy and thick. But it turned out to be the opposite. The soup color is light yellow with a hint of oil on the top. If you just have one sip without messing with the dish layout, you can clearly taste the light flavor of chicken broth. However, if you start to mix all ingredients together, the broth became more salty due to the sakura shrimps and sliced pork. The shrimps are crispy, but it would taste better to mix with the broth and noodle together. Both noodle and pork are tender as expected.Is the price too high? NTD $210 is actually average in Taipei Ramen Market. But, is it worth it? It depends on if you like the light soup base or the thick soup base. The mild salty chicken broth ramen is for light soup base lovers!